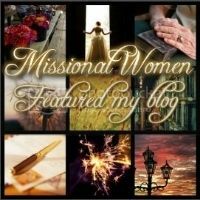 True Hope and a Future: I LIKE GIVING - a giveaway! We first met Lee back in the fall of 2005. An international Bible organization was holding their annual conference at our church and they were looking for people willing to house some of the attendees. Since we had a couple of extra beds and enjoy meeting new people, we agreed to open up our home to two of the gentlemen attending. The weekend of the conference we enjoyed the company of both Tom, on the left, and Lee, on the right. At the end of the weekend Tom commented that we may not see each other again this side of eternity, and to this day we haven't. Lee, however, is another story entirely! Our relationship with him continues despite the fact that we live in Michigan and he lives in California. We just love Lee to death! He's an adventurer, a missionary, and probably the most upbeat person we've ever had the pleasure of meeting. Now into his 80's, he still runs circles around me! He - along with his new bride, whom he became reacquainted with at their 50-year college reunion, shortly after we met - was in town a few years later to attend the same conference and, though it was held at a different location, again he stayed with us. Whenever we have overnight guests I invite them to make themselves at home and help themselves to anything in the kitchen. Since rummaging around someone else's pantry can feel awkward, I've gotten into the habit of putting a small basket of snacks in the guest room so visitors can eat at their leisure. Knowing from his previous visit that Lee is a huge fan of fruit, for his second visit I placed a basket of it in the room where he would be staying. He was very pleased by the gesture, but I had no idea what a huge impact this simple gift made. "Is this the woman who puts fruit out in a basket for a weary traveler? 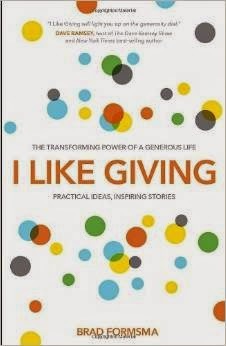 As long as I live I will never forget..."
I just finished reading a super-fun book; "I Like Giving" by Brad Formsma. In it, Formsma shares some of his giving experiences and explains the origins of the "I Like Giving" movement. The book covers every aspect of giving you can imagine - where to start, how to do it, setting boundaries, involving your entire family - all the way to the opposite end of the spectrum - receiving. He even has a chapter on the science of giving; citing studies that prove money can buy happiness - when that money is spent on someone else. The book not only shares Brad's experiences, but is filled with stories just like the one I just shared; stories on the blessings of giving that come to the giver. Reading it just made me want to say, "I want that!" and go out and bless someone! These personal accounts are sprinkled throughout the book with surprising titles such as, "I Like Turbulence. ", "I Like Scars." and "I Like Payphones." as well as fun titles like, "I Like Coffee and Pink Lipstick." True to their spirit of giving, they even gave me some books to give away! I already had the opportunity to give away one, but I have TWO more to give away here! Congratulations to our two winners, Laura and Lynne! An email has been sent instructing you how to claim your book. I like giving, too! It is the only thing that gets me out of a funk sometimes. I truly believe giving and helping others is what God made us to do because it feels so good! I just wrote a post about how to get your children involved in volunteering in the community (giving time). I noticed I always look to entertain my children rather than getting them involved in service. That's not the way to raise godly children. I'd love the book to read up on how to give more as a family. I already subscribe to your blog and I already follow you on twitter. Also, I'm a giver so when I'm finished with the book you know I will pass it on to someone else who needs it. Sounds like a great book. 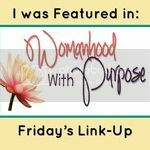 Thanks for linking up with The Weekend Brew! This sounds like an amazing book to enjoy. I like giving something homemade to friends and family. When you give you also receive. Definitely something I would love read. Thanks Lisa! This sounds like a great book. I've been trying to encourage my 10 year old to be more giving and this could definitely help. I would like to win this book so I can find new ways to give and encourage others - even when I don't feel I have much to offer. I have subscribed to this blog - I used the same email address that is connected with these comments.